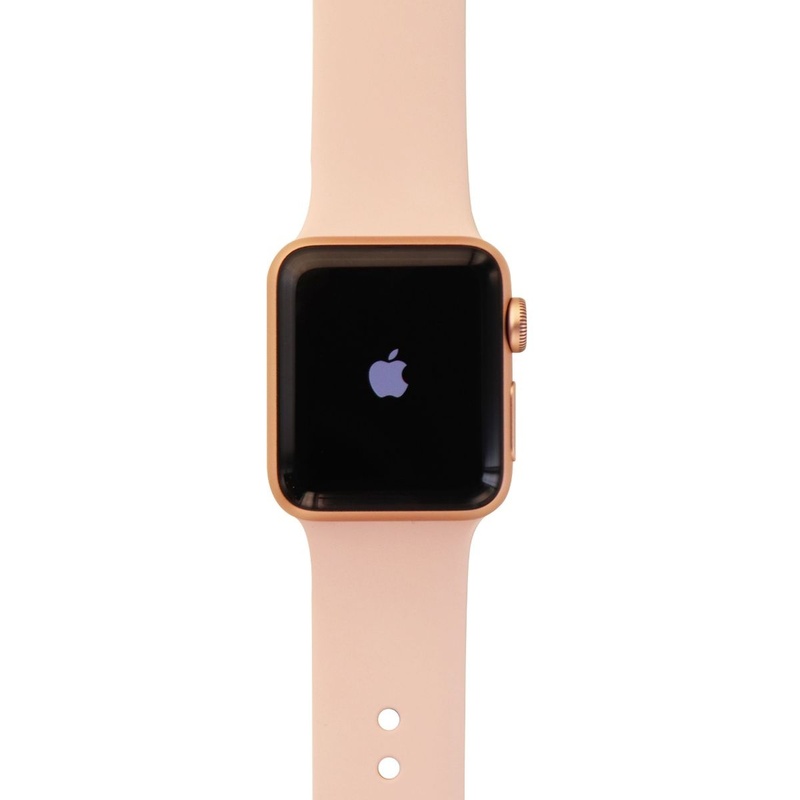 The Official Apple Watch Series 3 Smartwatch. 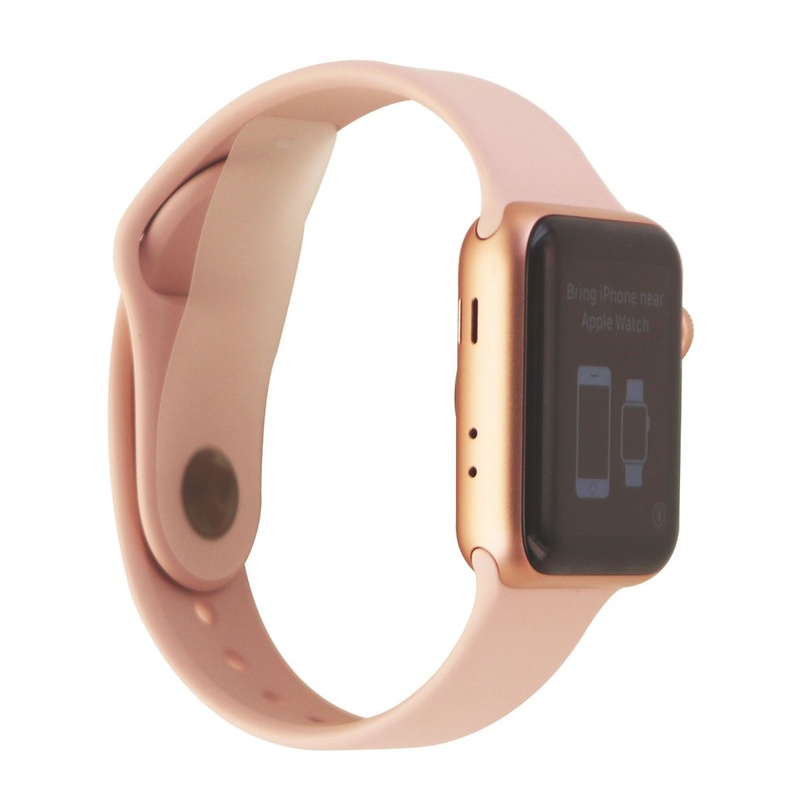 38mm Version with Gold Aluminum Case and Pink Sand Sport Band. GPS and Wi-Fi only capability, will not work with Wireless LTE Networks. Requires an iPhone 6 or later with iOS 11 or newer. 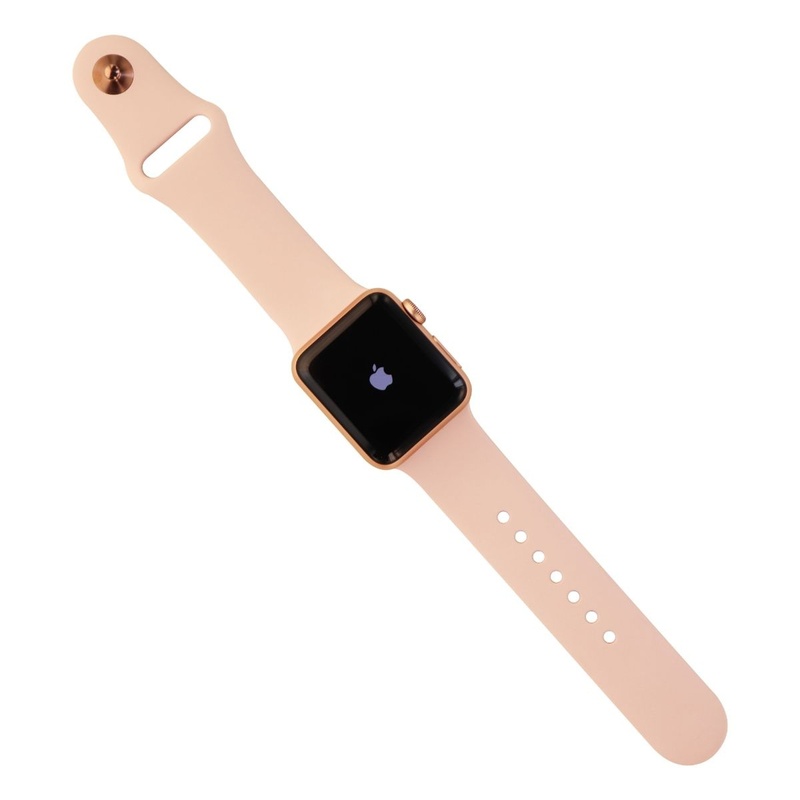 - With cellular connectivity, Apple Watch Series 3 lets you leave your phone in the gym locker while you work out, and never miss an important call, text, or notification. - Track popular indoor and outdoor workouts like running, cycling, swimming, and high-intensity interval training. - Apple Watch Series 3 is swimproof and tracks both pool and open water workouts. 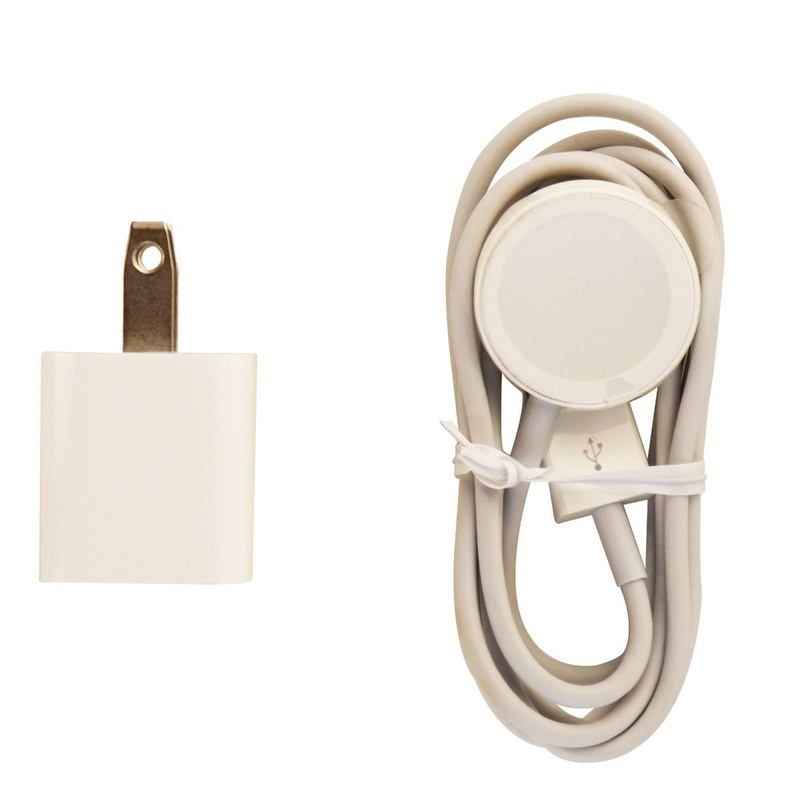 After you’re done, sound vibrations eject water from the speaker. - Built-in GPS records the distance, speed, and route of your outdoor workouts. And an altimeter tracks elevation during your hilliest rides and highest climbs. - Stream all your favorite music right from your watch. You can also listen to live radio stations like Beats 1. Use Siri as your personal DJ. Just raise your wrist and ask Siri to play anything from Reggaeton hits to Top 40 tracks to French Garage Rock.